For as long circus has been around it has displaying the capabilities of the human mind and body. Circus has brought people together from all social classes, from streetwise kids to the rich and famous they have all admired bodies, movements, the latest techniques. Circus artists took people by the hand in an exploration of the physical abilities of the body and mastered the skill to make people wonder. Isn’t it magical to watch a show together with a lot of other people? The past decades the circus has moved aside from strictly entertainment and moved towards educating people. From workshops to masterclasses and moved from the tents and buildings to the streets, parks and industrial zones. Circus is not dying, it is simply evolving. In other words, circus became an omnipresent factor in the daily lives of people. 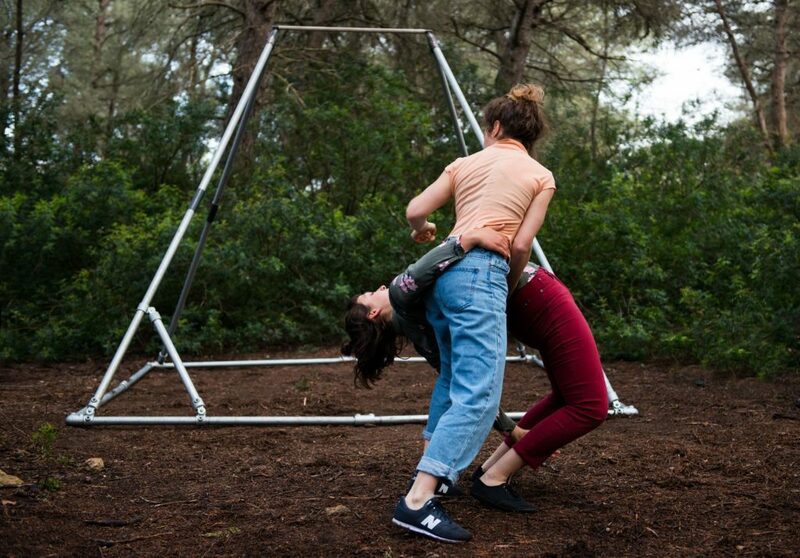 Recently I have watched a performance of Cie. EfectoR -an eclectic mix of circus, theatre and dance- on a theatre festival, when a female member of the audience was invited on the floor to dance with Martina Gunkel. She arrived a bit shy, uncertain if she would be able to keep up with the expectations in front of the rest of the audience. Clara cortés and Martina Gunkel managed to make her get in touch with her body, her soul. The expressions on the woman’s face went from insecure to enjoyment, liberation, sexuality and fun within two minutes. That is what circus should do, and often did. Slowly circus is still evolving into a new and adult shape, away from the thought that circus is “Children’s entertainment”. This performance shows that contemporary circus and traditional circus can live together perfectly whilst having an overlap in audience.